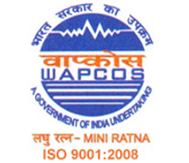 WAPCOS Ltd, a Miniratna Public Sector Undertaking invites applications from Engineering Graduates from Electronics & Instrumentation stream for the current openings in the organization. in Electronics & Communication or Instrumentation from any recognized university in India with atleast 60% in academics. Pay Scale: Rs 16400-40500 (IDA), HRA, IDA plus perks upto Rs 5000/-. Application Procedure: Interested Candidates are required to send their CVs in proper format(as mentioned below) through post to the address mentioned below before the last date. CSIR COUNCIL OF SCIENTIFIC AND INDUSTRIAL RESEARCH: Recruitment of BE/ BTECH (All Disciplines) | Government Job| Last Date: April 23, 2010. Posted in Electronics and Communication, Freshers, Government Job, Instrumentation, Job After Btech, With experience, Without Experience. Tags: Government Job, wapcos 2014, Wapcos careers, wapcos engineer trainee, wapcos haryana jobs on May 14, 2014 by Lalit Joshi. Tired of Posting jobs in different websites? A great news for you. MyDeals247 introduces an unique model to find the right job which exactly matches your experience and expected salary. No nonsense of getting too many alerts. Most of the employer trust the judgement of MyDeals247's new recruitment solution. If you have the right skills, you will get a call from the employer in no time. Just login and create your profile. Once in a day, you just login into the system, you will find the matched jobs right on your dashboard. Just submit them. Its a very different solution. Its fun!